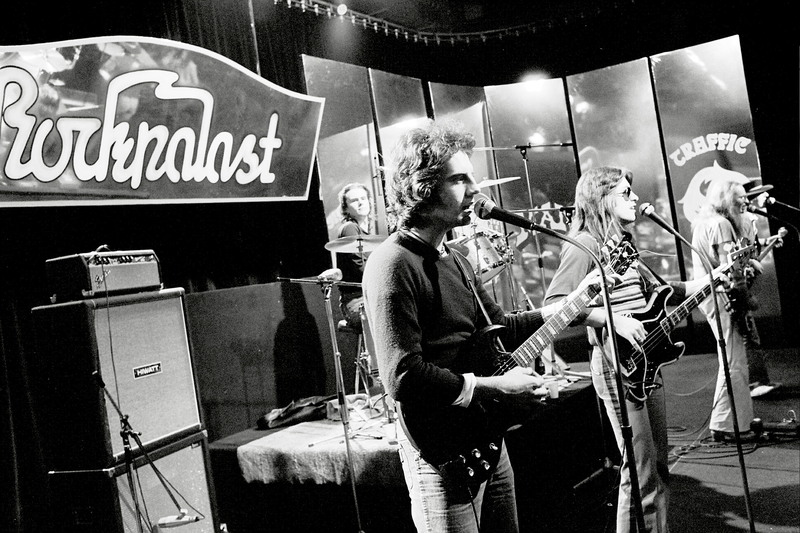 The Rockpalast was still in its infancy when the British band STARRY EYED & LAUGHING entered the stage of the Cologne WDR studio L on 24 February 1976. Only a handful of bands like the Streetwalkers, Man, Procol Harum, the Climax Bluesband or Alexis Korner had the honour to perform live in the Cologne studios and later to be broadcasted all over Germany on TV in front of the four Brits Tony Poole, Ross McGeeney, Ian Whitmore and Michael Wickford. STARRY EYED & LAUGHING started playing what is now commonly known as Americana in 1974 – a mixture of country, folk, blues and rock. The sound of SE&L was characterized by Pooles 12-string Rickenbacker, which immediately reminded of Roger McGuinn and the band was called the British answer to the American Byrds. And so it wasn’t surprising that with “Chimes Of Freedom”, “You Ain’t Goin’ Nowhere” and “Mr. Tambourine Man” there were three titles on the Rockpalast setlist that were also part of the standard program of the Byrds.